Last week there were reports (read: rumors) of Foxconn and Sharp testing devices which may be destined to become Apple-branded televisions. Adding more detail to those rumors, a new report published by a Taiwanese news outlet indicates those pre-production televisions measure between 46 to 55-inches. Although exact dates remain unavailable, the news agency's source claims it is "unlikely" we'll see an Apple TV by the end of 2013. However, that same source mentions the device may make its debut at CES -- something I find unlikely, given a possibly distant product launch and Apple's infamous secrecy. Rumors of an "Apple TV" have long made water cooler gossip more fun. However, in recent months, a preponderance of rumors suggests the launch of an Apple-branded TV is imminent. In addition to multiple leaks which assert an Apple TV is underway, when NBC news anchor Brian Williams asked Apple CEO Tim Cook about the company's future role in television, he responded, "It's an area of intense interest" and said it had grown beyond a "hobby". Cook also added that whenever he sat down to watch television, he felt like he'd been transported back in time by 20 to 30 years. Needless to say, Cook's words suggest Apple may be working on something more than its Roku-like Apple TV, a set-top appliance which debuted in 2007. In fact, Foxconn chief Terry Gou seemingly confirmed this observation earlier this year. If anyone can pull off a redesign of the TV, it's probably Apple: the company has an impressive list of content deals starring major players and a growing rap sheet of industry shake-ups. 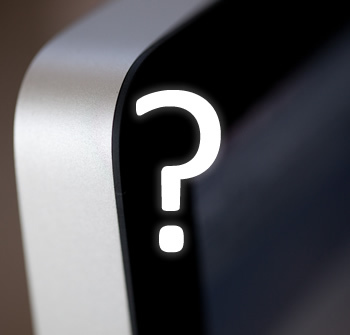 What features would you like to see on an Apple TV?